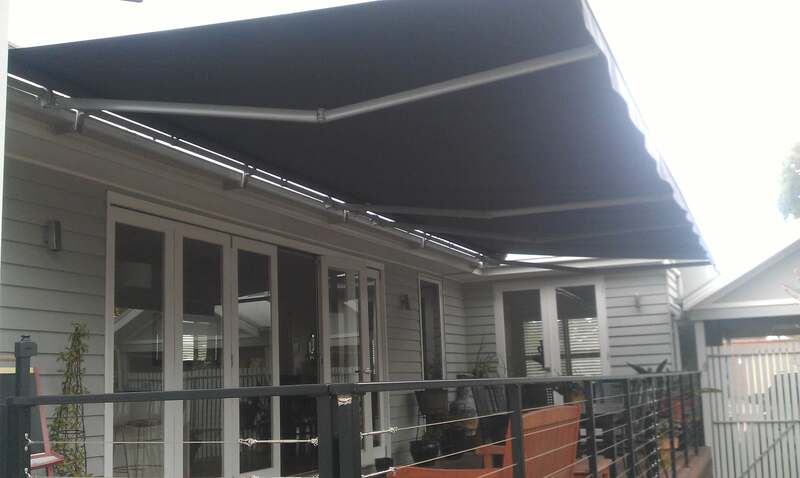 Standard folding arm awnings Melbourne. 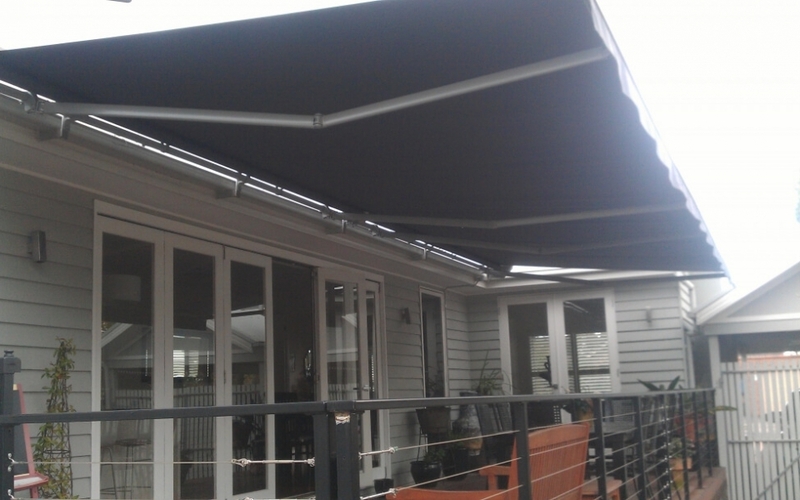 The AUSTRALIA is our most versatile, economical and popular of our folding arm awnings Melbourne range. European designed, it is both strong and functional with a range of different options and configurations available and can be used for a variety of different applications. 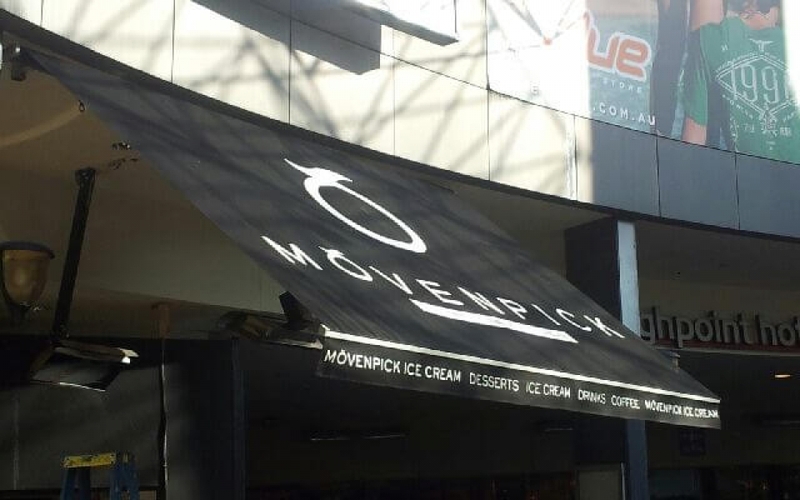 It's also our most economical model making it a popular choice people in Melbourne for providing shelter against the elements. 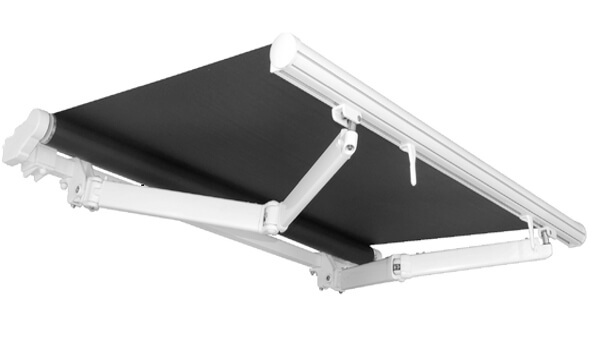 This standard folding arm awning can be wall mounted, top or rafter fixed. 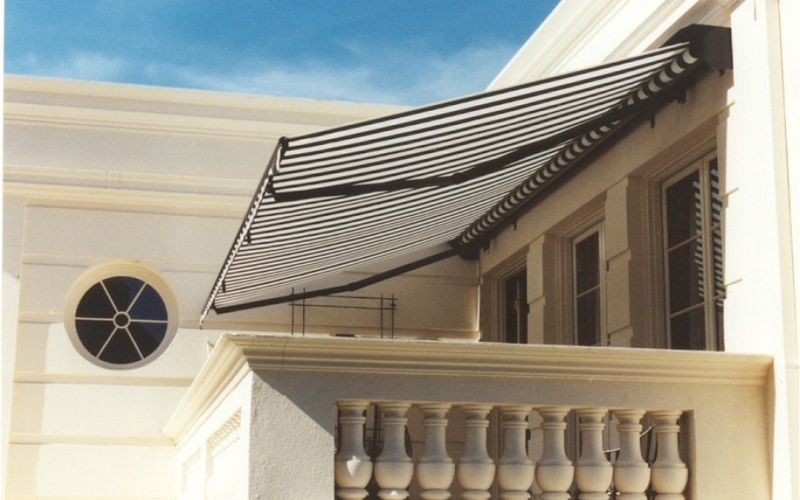 It can also be roof mounted with custom made fixing brackets. Projections from 1.6 to 4 metres are possible and a span of up to 12 metres in a single profile can be achieved. Pitch control varies from 5 – 60 degrees. Standard frame colours include white, ivory and light grey. Powder-coating is also available for specific colours. 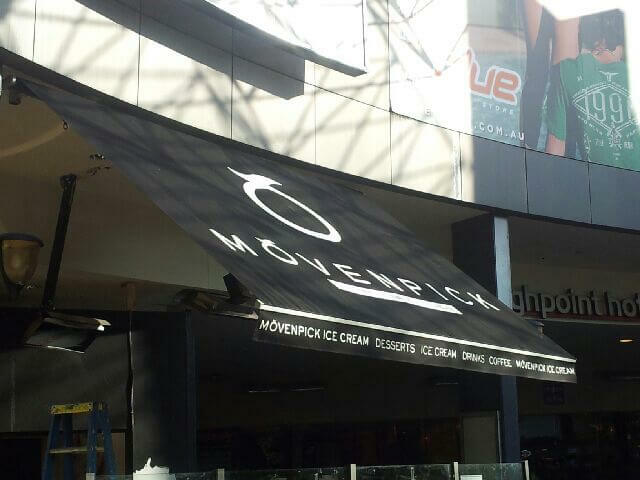 The awning can be manually operated via a gear and crank system or be fully motorised and automated. Turnaround normally between 3 – 4 weeks from placement of order to installation. Of European design featuring powder coated heavy duty aluminium arms with stainless steel chains. 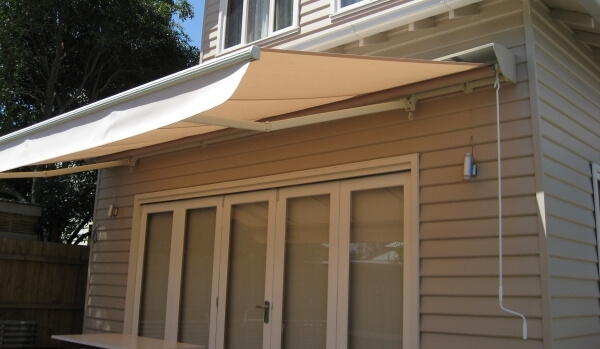 Colorbond hoods and leading fabric brands are used on the awnings. We also use only the German Becker brand of motors and controls as well as the French Somfy brand. 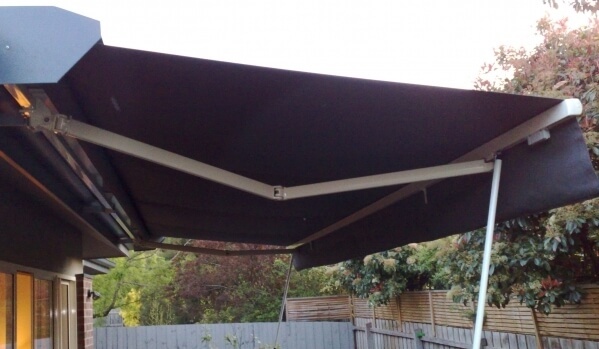 These folding arm awnings are made to last and give you many years of care free operation. 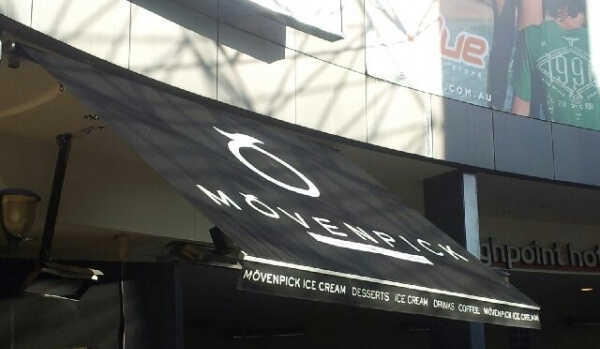 All assembled here in Melbourne to your specific needs with a 5 year warranty. 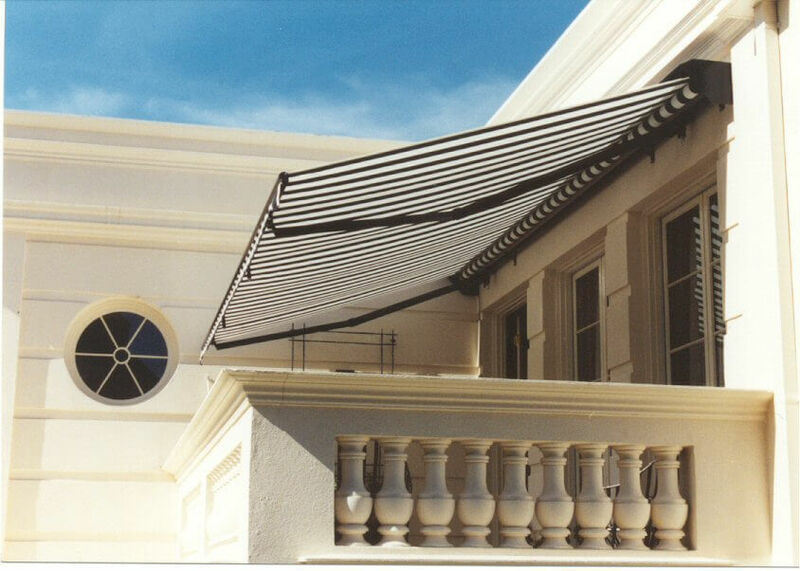 Colorbond pelmets, variable pitch control for the arms, retractable front valance and detachable front posts. The frames can be powder-coated to any Dulux colour and you can choose from large choice of leading fabrics and colours. Motorisation and full automation with timers, sun and wind sensors can also be added.